Sauk County has 12 clubs within the county whose goal is to provide education, develop and improve leaders, build coalitions with other organizations and agencies, and to promote friendship and understanding with all people of the world. 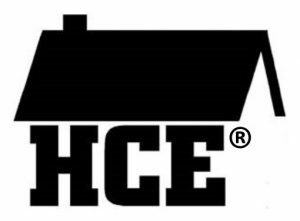 Sauk County Home and Community Education (SCHCE) is open to anyone who is interested, regardless of race, creed, or national origin. You can join a local club or support the organization as an individual member. Annual dues are $10/person. To join, please send in your Membership Form. The HCE Executive Board meets on the first Tuesday of each month. Taste of Sauk County– – July 12-14th at the Sauk County Fairgrounds. News and Views is the SCHCE newsletter that is published five times per year. Articles are due to the editor, Kitty Enerson, at kittyenerson@ymail.com by the 15th of each month. Lynn’s Legacy provides bags of goodies for radiology and chemotherapy patients in Sauk County. The gift bags include personal-care items such as lotions, sanitizers, lip balm, baby shampoo, and foot cream – products that are fragrance and alcohol-free. This makes them safe for patients who have weakened immune systems due to treatments. Knitted, crocheted, or sewn scarves or caps are included in the bags as well. If you or anyone dear to you is currently in treatment and has not received one of these bags, please contact Shirley Vorndran, Lynn’s Legacy Chairperson, at 608-522-4916 or UW-Extension at 608-355-3250. Wisconsin Bookworms is a state-wide collaboration and outreach effort of the Wisconsin Association for Home and Community Education (WAHCE), UW-Extension Family Living Program, and Wisconsin Public Television. It is designed to provide free books and an early reading experience for children from limited income families. In Sauk County, each month volunteers read award-winning books to children, engage them in a related activity, give books to the children and provide educational activity sheets for their families. Funding for this project is from community organizations such as United Way, Rotary, and various memorials. Sauk County reads to Head Start children in Reedsburg, Baraboo, and Sauk Prairie.